From its nationally-ranked schools situated on a 200-acre learning community campus to its more than 35 miles of leisure trails leading to a town center with a library, café, restaurants and shops, New Albany planners paid careful attention to the details that truly define quality of life. Among the defining principles that set New Albany apart from its neighbors is the strong sense of community that brings together people who share an affinity for lifelong learning, health & wellness, arts & culture, and environmental sustainability. 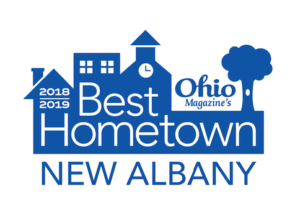 New Albany has been recognized as America’s Best Suburb by Business Insider and Ohio’s Best Hometown by Ohio Magazine.